During Lent we traditionally take on spiritual disciplines that help us draw closer to God. 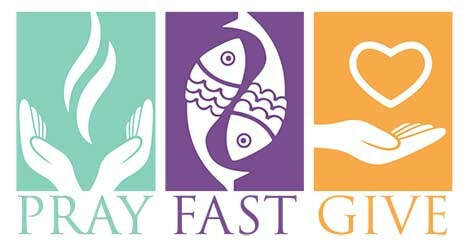 We hope that you might find one or more of these practices helpful in your journey through Lent. This Lent let go of the inessential to hold fast to what is essential: if you abstain from food of some sort, ask what you hunger for. Or fast from speed to embrace slowness; fast from indifference to awaken to wonder; fast from negativity to find the good within. You might choose not to let something go, but to take something on: devote yourself to a discipline, exercise, or prayer: reading scripture, attending Mass in the Lady Chapel during the week, asking the priest to hear your confession as you seek reconciliation and healing – that will help you connect with God, creator, redeemer, and sustainer of all that is life-giving in you. Each Lent we pray, ‘Create and make in us new and contrite hearts, O Lord.’ Ask for a new heart to know and love God. Pray that each day God will break your heart open – to forgiveness, to peace, to the needs of the world God so loves. Whatever practice you choose, he intentional, be mindful. Be truly present to the grace of this season, which allows us to rediscover what is essential to the abundant life for which God has created us.